Changing of the guard at Wimbledon! It was a bittersweet championship Sunday at Wimbledon that saw Rafeal Nadal dominate Tomas Berdych, to cement his hold over the number one world ranking and make it crystal clear that he has taken over as the dominant force in men’s tennis, no matter the surface. The sadness I felt was that for the second grand slam in a row and the first time since 2002 Roger Federer was missing from championship Sunday. This tournament represents to changing of the guard in men’s tennis. Federer, for the second grand slam in a row failed to break through the quarter finals. Before the French he had reached a record 23 consecutive grand slam semis. After 7 years of sheer dominance Federer, while still a great player and a contender for every big tournament, is clearly on the downside of his career and may even consider his desire to continue competing. I have to question the desire to continue to fight. For someone who had the run that Federer had winning 16 grand slams, achieving the career slam, and pretty much holding every record worth holding. What else is there for him to do, and why should he put himself through the necessary to regain his number one form, if that is even possible. It is not often that a player retires at, or close to the top of his game, and rides of into the sunset remembered as a great champion and nothing else. Federer has an opportunity to finish out this year and play one more as a farewell tour, then retire with his wife, kids, and his millions in winnings, and go down as the greatest player in the history of tennis. Or he can continue chasing grand slams and possible taint his almost flawless record with good but not great results. It hurts me every time I see Federer lose an early round match to someone he has beaten every time they played before. On the opposite side of sorrow for Federer, this Wimbledon saw consistent strong play from the younger generation of top tennis players. Nadal (24) and Berdych (24) play in the finals. The semi finals saw Andy Murry (23) and Novak Djokovic (23). All four players are under the age of 25 and with the exception of Berdych, 13 overall but will move up with his victory, ranked in the top 5 in the world. What this tells me is that the future of tennis is looking up with additional young players Robin Soderling (25), Juan Martin del Potro (21), Jo-Wilfreid Tsonga (25), and Marin Cilic (21), all ranked inside the top 15 in the world. With Federer on the downside of his career there are young dynamic players to take his place in the spotlight at the top of the rankings. And they will all be fighting for a shot at Nadal in New York City and other cities around the U.S. as the US Open Series heats up throughout the summer. In my opinion one of the most fun stretches of tennis in the year. It isn’t all THAT rare that a tennis match gets suspended due to declining light conditions. Try as organizers do to avoid situations where play has to be suspended, try as organizers do to allot sufficient time for each match to play out, sometimes… it just doesn’t work out the way they want to. 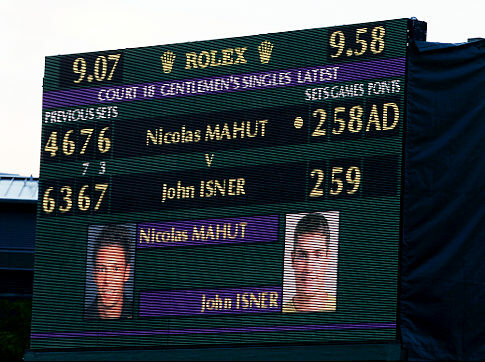 Take this Isner-Mahut match that’s been going on these few days. If you’ve been living under a rock, or just somewhere you don’t get internet or cable or satellite tv, you might be surprised at my use of “days.” I assure you, I haven’t been going insane. This match has taken a FEW DAYS. The match began Wednesday. It appeared to be a pretty standard five set match, that actually went five sets. Well, appeared to be as standard of a five setter as a five setter really could be (read: five setters are not standard). However, factor in fact that this particular match is being played at Wimbledon. Yes, THAT Wimbledon, where Roddick and Federer battled it out last year in the finals to reach a jaw dropping 16-14 in the final set. Also, factor in the fact that this particular five setter is being played in the first round. Finally, throw in two amazing servers, and you have all the makings of an epic. And epic this is. What else can you call a tennis match that’s taken over 10 hours?! What else can you call a tennis match where, so far, 163 games have been played? What else do you call a tennis match in which a SINGLE SET (that hasn’t even finished!) takes far longer than any match ever played?! It is at times like this when the viciousness of tennis really shows through. Despite all the hard work both players have put in, only one of them will advance. TO THE SECOND ROUND! That’s really a huge shame considering that both of these players deserve to advance, given all that they’ve poured into this one match. And this match hasn’t even finished! Who knows what new levels these two will take the match to tomorrow? I wish both these players the best of luck out there, and deeply admire them for their tenacity, drive and stamina. Good luck men. Order was restored on the men’s side and a continued trend of first time winners and unexpected champions emerged out of the women’s side in the 2010 French Open. Rafael Nadal cruised through the tournament losing no sets and exacting his revenge on Robin Soderling, the man who broke his French Open consecutive match winning streak last year. Nadal, who recaptured the world number one ranking with the victory, continued to show why he is one of, if not, the greatest clay court player of all time. While he had a relatively easy draw, escaping the likes of Novak Djokovic, Roger Federer, and Andy Murray, the way Nadal was playing it didn’t much matter who was on the other side of the net. In his three final matches Nadal had a total of 67 unforced errors in the nine sets for an average of 7.4 unforced errors per set. In his final match verse Soderling he had an astoundingly low 16 unforced errors to Soderlings 48. The lack of free points Nadal gives up creates a margin for error that only a player playing out of his mind for an entire five set match would have the opportunity to prevail on clay. On the women’s side there has been no clear favorite on clay since Justine Henin retired in early 2008, Serena Williams has been the leader in the clubhouse on other surfaces. But in the last few years in women’s grand slams there have been a number of unlikely players emerge victorious, and many times go straight back to anonymity. It is only fitting that this years French Open Ladies final were two players who had never won a grand slam tournament. Samantha Stosur had a tough draw throughout the tournament beating former champions Justine Henin and Serena Williams and former world number one Jelena Jankovic just to arrive in the finals. Her opponent, Francesca Schiavone, while it was not a cakewalk made it through Maria Kirilenko, Caroline Wozniacki and an injured Elena Dementieva, who retired after losing the first set, rather unscathed to reach the final round. In the final Schiavone prevailed due to her experience and the fact that Stosur had such a tough path through the tournament she had already played her best tennis. Schiavone used variety and pressure to keep Stosur off balance and didn’t let her dictate in the match. It was a hard fought match that Stosur just couldn’t come up with the big point when she needed it. Schiavone prevailed becoming the first Italian born women to win a grand slam tournament and Rafeal Nadal cruising to his 5th French Open leaving him one behind Björn Borg, continuing to strengthen his argument for becoming the greatest clay court player ever! There are surprises in each grand slam tournament; Nadal winning was not, Schiavone a nice story was not a huge upset, ranked number 6 in the world. The surprise in this tournament was the lack of success by some of the fan favorites, Serena Williams and Justine Henin on the women’s side and Andy Murrey, Roger Federer, and Novak Djokovic. And I am defining lack of success in not winning or making the finals with the players listed above, because they all had opportunities to win going into the tournament. April came and Rafael Nadal returned to the clay – to dispel all doubts and get silenced all critics and doubters. Monte Carlo was his first title in almost a year. But he won this tournament a record six times in a row, and so convincingly, and the pressure that no more doubts – the king returned to the clay, and for the next two months he has big plans. The way Nadal won the Monte Carlo, losing five games, inspires his fans a lot of optimism for the upcoming tournaments. The assumption that the problems plaguing him from the start of the season – the inability to maintain a high level of play even in games in which he had a distinct advantage, psychologically fragile to tie-breaks – there is only one remedy, and he name is “clay” . Once finally in its brick kingdom, the Spaniard crossed the opponents iron roller, leaving none of them stand a chance. If the first two matches, in general, were as expected – with all due respect, Timo de Bakker and Michael Burrer, Nadal’s not rivals, even on faster surfaces. And on a slow ground Monte Carlo Nadal gave each of them the whole game on, apart for a variety of sets in a mirrored manner – 6:0, 6:1 and 6:1, 6:0. But more went contenders for any on the ground can be difficult – well, that is, for any except Nadal. Starting with Ferrero, Rafa played on only with their compatriots. The Spaniards simply an overwhelming played in Monte Carlo – five of the eight quarter-and three of the four semifinalists were the Iberian Peninsula. The only non-Spaniard in the semifinals was Novak Djokovic finally shows signs of life after total disaster that occurred with his game since the beginning of the season. Either the soil was to Novak kinder hard, or parting with Todd Martin and his interesting coaching methods had an instant effect, but their first three matches in Monte Carlo, Serbian had a very good level. However, further, in the semifinals came the familiar failure – the game has denied all at once. Of course, the match took place in a vacuum, and of course, Fernando Verdasco not whipping boy, especially on clay, but this does not negate the fact that Djokovic simply collapsed. It is not surprising – to crawl out of this pit, in which Djokovic failed in 2010-th year, is never easy and fast. Until then, Fernando has held two very difficult games, first in three sets by taking revenge on Tomas Berdych for defeat in Miami. Easily winning the first set and leading in the second 5:1, Verdasco seemed completely turned off from the game and allowed the opponent to level the score and then win the second game in a tiebreaker. In the decisive set, it is true, Verdasco once again come to his senses and there is no longer left compatriot no chance. But this is the amazing lack of discipline in the game, I think, and prevents Fernando fully realize the talent he has in abundance. As for the finale, and there, in general, and particularly to write about. What else can you say about the match, which ended with the score 6:0, 6:1. Of course, the first in his career finale Masters; event is non-trivial, but we should not allow the nerves to bring himself up to complete paralysis. Of course, Nadal would have won even if Verdasco played better order – in this tournament he has never given reason to doubt their own. For Rafa same Monte Carlo has become the place a kind of “expulsion of demon” – he does not just won a tournament for the first time since last year, but showed in that game, which at the end of the season before last brought him to the first position rankings. However, no tennis player scores on his way to the title he never had the chance to meet, so that the question “How did he behave in a tight match with the same class of opponent”. Remains open. But the subterranean season has just begun, and it seems that the answer is not slow to appear. This article was written by Tatiana Mitasova for The Tennis Depot. I have been working as a high performance tennis coach for the past six years and the biggest challenge when working with high level players is to create the same sense of urgency to be successful in the sport they are pursuing as they put into their education. In the United States, education is required; every child is expected to start school in kindergarten or first grade and continue to go until they graduate from high school 12 years later. In addition to education, an emphasis is placed on other cultural enhancements, choir, playing an instrument, or debate team. On the other hand, sports and athletics are a leisure activity, participated in to round out the transcript or to teach a child “life lessons.” What parents need to understand is, if they want their child to succeed in their athletic career, the same level of commitment needs to be placed on practice, competition, and sports related homework, as is placed on education and cultural activities. Parents will take great pride in their child’s attendance record and deans list awards at school, but think nothing of canceling a tennis lesson because their child has a play date, an important test, or the parent has something else on their schedule. This is problematic for a couple reasons. First, being that parents will cancel that tennis lesson but then put the same level of pressure on the child to succeed when in competition. Secondly, the child will not put the same level of effort into achieving success on the athletic field as they do in an academic setting. The second reason is the area that I find most troubling. Many times I will ask a kid to tell me their effort level on a scale of 1-10 or what percentage out of 100 they are trying. To often the answer is 5 out of 10 or under 100%. How is it possible for a child to expect success when they are only trying to succeed half of their max level? This mentality by parents creates distorted expectations and an unfair level of pressure on the children. A disconnect is created when the level of commitment is not the same for athletics as it is for school. Children are shown that it is not as important to maintain their level of focus and commitment in sport but they are then expected to excel nonetheless. Most parents expect their children to receive A’s in school, and insure they are doing their homework and study for their tests. In the same breath, they expect their children to excel in sports but don’t make sure they stretch before working out, ice after, or allow them to work out at all. This mentality is one of the major factors limiting American. Along the same lines, parents need to create a support system with their children to ensure success. A parent would never think of sending their child to school without the proper school books, but they would send them to practice without the correct racquet. A parent would make sure a child struggling academically would receive a tutor; a struggling athlete may be expected to perform without additional help. While I understand academics are considered the most important thing as a child. I was home schooled and feel that athletics were just as much a part of my education as book learning. I believe they way to well rounded children is excellence in all areas of life. In the past few years, hybrids have become increasingly popular. More often than not, we see people with two different strings in their rackets. 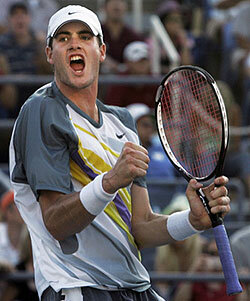 Many of pros have also gravitated towards hybrids: Federer with Alu and VS gut, Roddick with Hurricane and VS gut, etc. 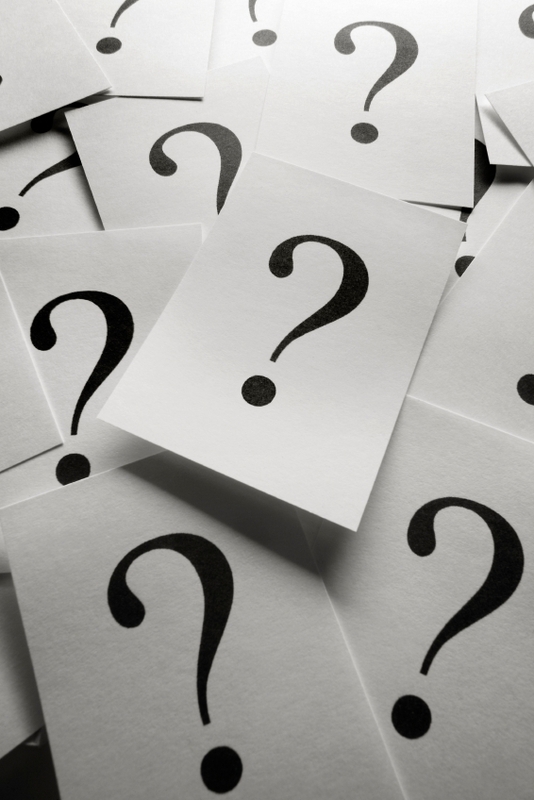 So, the questions that should come to mind are: what are the advantages of hybrids, and should I hybrid? I’ll try to answer both of those questions for you. As a baseline, the hybrids that are generally used are gut mains with poly crosses, poly mains with gut crosses, gut mains with synthetic gut/multi crosses, and kevlar mains with synthetic gut crosses. There are several advantages to these various hybrids. First, hybrids combine the characteristics of two strings, and depending on how you string, can create some very nice combinations. The main strings are mainly responsible for the power (and with that, control) of the string bed, and also mainly for how the string bed feels. Thus, if you want your hybrid to feel mostly like polyester, then put your polyester string in the mains. If you want ultimate comfort, then put your gut in the mains. Crosses on the other hand add a bit of comfort and influence how stiff the string bed is. They will also influence power/control, but this influence is relatively small when compared to the influence of the mains. Thus, you can add a gut or a multi in the crosses to a polyester main to add some comfort and decrease the battering that your elbow gets. Or, you can add a polyester cross to a natural gut main to add a bit of control to the setup and increase stiffness. The second advantage of hybrids is cost. Let’s face it: strings can get pretty darn expensive. A full set of VS gut will set you back $42, a full set of Alu Rough will set you back around $16, and a full bed of Pro Line II will set you back around $12. I don’t know about you, but my wallet doesn’t appreciate being emptied every week. Thus, hybrids are nice. A hybrid of my favorite natural gut or polyester with a synthetic gut cross will cut my cost per string bed by around half, and give me something very close to that original feeling. Third, hybrids are generally easier to string that the full bed of string (despite giving a feel very close to a full bed). A bed of natural gut and synthetic is a lot easier to string than a full bed of natural gut. To go along with this, if your stringer is charging you extra for labor when he strings a hybrid, somebody’s trying to rip you off. So to answer whether or not you should use a hybrid, you generally should if you fall into one of these categories: you want something that feels close to what you use now, but want something cheaper; you want something that’s a little more comfortable than the full bed of polyester you’re using now; you want to add a bit more control to what you’re using now (although this can be also done by adding a pound or two of tension to what you use now); or if you’re a stringer and want to have an easier time with stringing. Hopefully, this will clear up any questions or confusion that you might have had about hybrids. 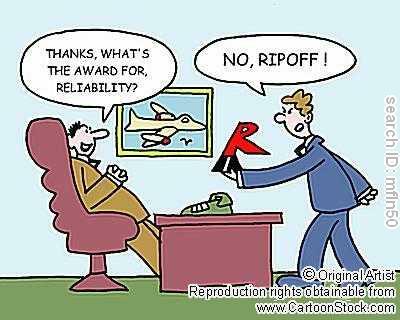 If you’re still doubtful, take one for a try. I recommend taking whatever you use right now and using that for your mains and for your crosses, I’d recommend starting with a synthetic gut (favorites of mine include Forten Sweet and Pro Supex Syn Gut Spiral Flex). This should give you something close to what you normally use. When tennis started on the finely manicured lawns of Wimbledon, the players hit the ball back and forth nicely in long white pants and skirts, with wooden racquets, and short stokes. Tennis was a gentlemen’s game, a thinking game, and the players were more sportsman than athletes. Fast forward to modern day…Tennis is now a high powered, supremely athletic, fist pumping, in your face game, and the toughest person wins. The ball travels faster, players are stronger, racquets and string provide more power, and the courts and balls are sped up to enhance the athletic prowess of the modern player. Understanding this dynamic change in tennis has increased the importance of off court training for all levels of tennis players, both in the gym and with dynamic and plyometric movements. I have been a high performance coach for the last eight years, working with top level juniors and top 100 ranked WTA players. It is always a struggle to get players and parents alike to understand that it is not all about how well you hit the tennis ball. Once you reach a certain level everyone can hit the ball well. The separation at the highest level is fitness, strength, and ability to create from defensive positions. This separation can be closed with proper training off the court. The best way to bridge the gap between hitting balls and learning the proper movements is to build the understanding at the earliest age possible. I try to talk to the students and the parents as soon as they decide tennis is the sport for their child to pursue. When working with young children the most important thing is to begin teaching them to use their legs at an early age. As they grow stronger, the more specific, more taxing movements will be easier to achieve if they learn to bend and load with their legs right from the outset of their training. In the beginning they may not understand the movements but they will be building the base for bigger and better things in the future. With young children there are a few movements that if taught at the beginning of their development will pay great dividends later in their career. From ready position, turn to one side and step out with that foot parallel to the baseline. These three basic movements will allow your students to get the basic understanding of the leg movements that will allow them to reach a higher level when they fully develop their game. I have found that students who have played other sports before turning to tennis have picked up the movements quickly. However, any student can learn the proper movements and enhance their tennis game through these basic kinetic movements. When Andre Agassi announced retirement just several years ago, you probably thought, am I ever going to see that tennis legend in action again? Well, today that wish came true for many tennis fans as Wimbledon’s historic Centre Court inaugurated a modern makeover as tennis legends Andre Agassi and Steffi Graf staged exhibition matches under a brand new retractable roof. The new roof is part of a wider revamping of Centre Court at the All England Club, which now has an increased maximum capacity of 15,000, and more comfortable seating. It has been designed to open and close in under 10 minutes, is translucent to allow natural light to continue to shine on the lawn, and has been fitted with floodlights. Along with weather no longer being a barrier to tennis being played at Wimbledon, tournament officials have admitted that there is no cut-off time to finish a day’s play, meaning epic matches could turn into after-dark dramas. On Sunday, former Wimbledon champions and couple, Agassi and Graf lost a mixed doubles match against retired former British No. 1 Tim Henman and Belgium’s Kim Clijsters 6-7. Then, fans witnessed a singles showdown between Agassi and Henman, a match that Agassi won 6-4 with a forehand down the line on his fourth match point. In the last singles of the day, Clijsters defeated Graf 6-4. French tennis star Richard Gasquet tested positive for cocaine after the Miami Masters, according to L’Equipe. Traces of a recreational drug, believed to be cocaine, were discovered in his ‘A’ sample, according to many media sources including the sports daily, which specifically identified the drug as cocaine. Gasquet, the world number 23 and a former Wimbledon semi-finalist, pulled out of his opening match in Miami against Spain’s Albert Montanes because of a shoulder injury. The 22-year-old withdrew from this week’s tournament in Estoril with a neck injury and is not playing at the Madrid Masters, which began on Saturday. Gasquet, who could be banned for two years if his ‘B’ sample also tests positive, was unavailable for comment. Roughly 2 years ago, Martina Hingis tested positive for the same drug and withdrew herself from competitive tennis. Gasquet insists he is innocent and that this is a mistake. Remember that skinny Argentine who was the world’s best clay court player just several years ago? The former world number three, Guillermo Coria has retired from tennis at the age of 27 because he has lost motivation. He said “I didn’t have any more desire to compete”. We best remember Coria from the epic 2004 French Open final. Coria, who won nine singles titles and was runner-up at Roland Garros in 2004, last played at an ATP Challenger tournament in Bangkok in March. He has slipped to 672 in the world rankings. “I’m happy with the decision I’ve taken because I have some new projects and more time to dedicate to my family,” he said.”In this sport, you always have to be 100 per cent.”Coria was a dominant force on clay, winning the Monte Carlo Masters in 2004 before losing in an epic five-setter the following year to Rafael Nadal. 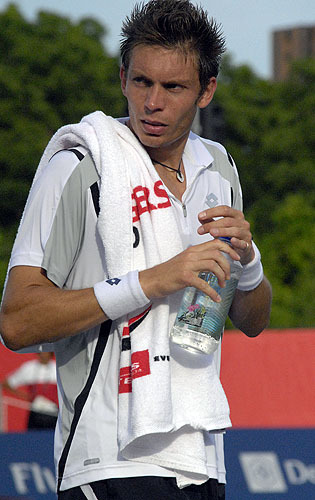 Coria lost the 2004 Roland Garros final to fellow Argentine Gaston Gaudio having held two match points and having lost just one set on his way to the final. We would like to say farewell to Coria and wish him the best of luck in his upcoming projects!